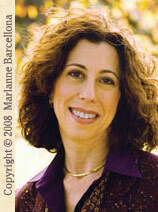 Deborah L. Jacobs is a lawyer and award winning journalist specializing in legal topics. In her best-selling book, Estate Planning Smarts, she draws on 17 years of writing about the stressful issues that surround estate planning. Her articles for The New York Times, Bloomberg Wealth Manager, Forbes, BusinessWeek and many other publications have been widely cited and circulated by both advisers and consumers. Readers appreciate her clear, concise explanations of complex subjects and her ability to combine real-life stories with reassuring, practical advice. Like many other people, I didn't used to think much about estate planning. Longevity ran in my family, and hardly anyone ever died. Then, in the space of three months, three major events gave me a cold shot of reality. I became a parent, lost a parent, and following my father's death found myself in charge of a trust that my grandmother had set up. Soon after, an editor at Bloomberg called to say he was looking for someone to write about estate planning. I decided to turn my attention to this important topic that had suddenly become so relevant to my own life. During the twelve years since then, Jacobs has developed a strong following among readers who rely on her expertise and clear, concise explanations of an often complicated subject. As a lawyer, Jacobs writes with the voice of authority. As a journalist with extensive experience covering estate planning, she writes with clarity and compassion about issues that affect us all. A native of New York and a graduate of Barnard College, Jacobs received her J.D. degree from Columbia Law School and her M.S. from the Columbia Graduate School of Journalism. She lives in New York City with her husband and son.